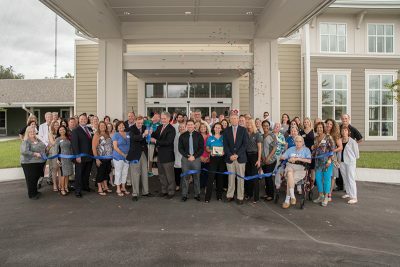 Twin Creeks Assisted Living and Memory Care held its ribbon-cutting with the Greater Riverview Chamber of Commerce Oct. 5. Doors are expected to open to residents in mid-November. Active residents can move in to apartments and stay through end of life. Eager residents have already reserved apartments at Twin Creeks Assisted Living and Memory Care, a new place where they can live out their silver years, even if their health begins to fail them. The new ALF and memory center, already constructed at 13426 Boyette Road, in Riverview, expects to have its state license and open its doors sometime in November. 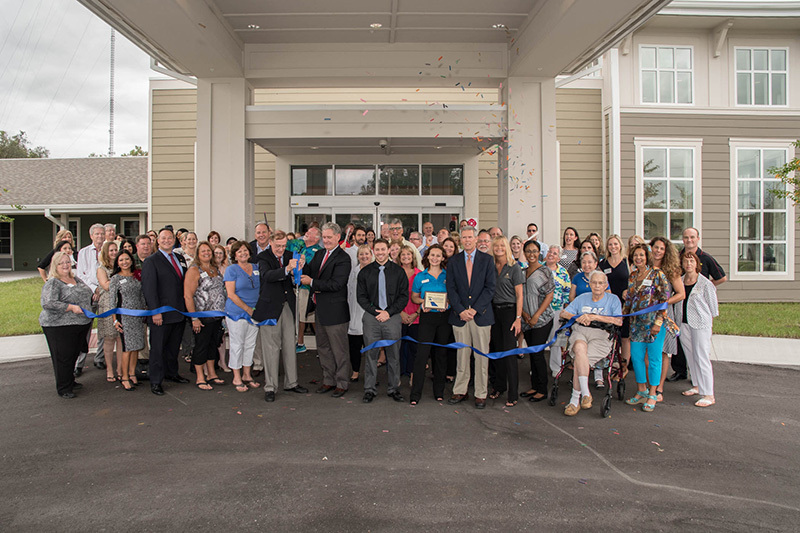 The center held its ribbon-cutting with the Greater Riverview Chamber of Commerce Oct. 5. “Construction is complete, we are in the building, and we are working here,” said Executive Director Shane Potter. “The last thing we are waiting on is our license from the state Agency of Health Care Administration for the Assisted Living Facility. We are hoping to have that by mid-November. Hurricane Irma delayed paperwork, but it is back on track now,” he said. The ALF will have 96 beds and 80 units – some will be occupied by two residents – with 36 of those beds devoted to patients with dementia. Marketing Director Danielle Webster said a number of the units have already been reserved, though she said she did not have an exact number. Most of those who have reserve apartments are from the Riverview and FishHawk Ranch area, she said. “Our company has six other facilities in North Carolina and South Carolina and some of our partners were here and saw Riverview as growing and expanding and FishHawk as one of the areas that seems to be growing fastest,” Potter said. That is what brought the company to Riverview. “There is a lot of opportunity here,” he said. “We will have a standard license, but will also have an ECC license, or an Extended Congregate Care license, which allows our residents to age in place,” Potter said. “Once a resident moves in, they will be able to stay, even through end of life care. 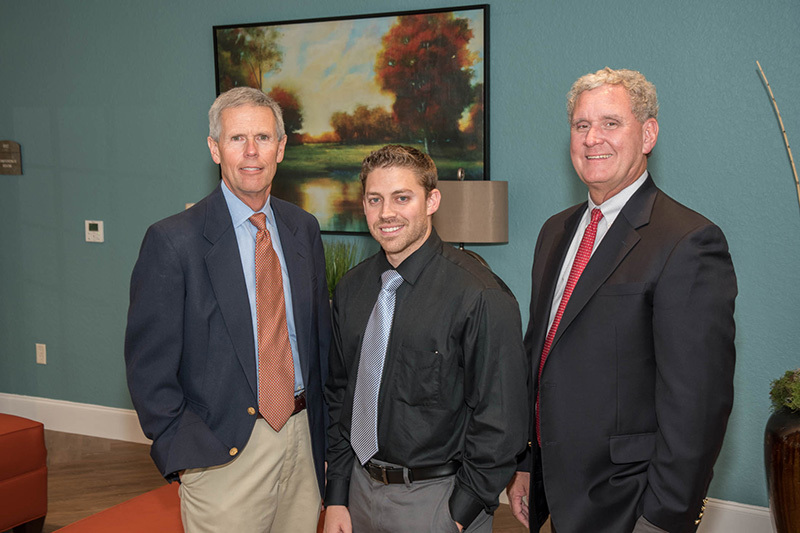 Kyle Dilday, vice president of operations at Retirement Living Associates, Twin Creeks Executive Director Shane Potter and David Ammons, president of Retirement Living Associates, celebrate the ribbon-cutting at the new Twin Creeks Assisted Living and Memory Care center in Riverview. Part of that homelike environment begins right away, Webster said, because residents bring in their own furnishings. Snow is an occupational therapist considered an authority on dementia care. Potter, himself, is a certified independent Positive Approach to Care trainer through Snow’s organization, he said. Twin Creeks also has a culinary team for meals and an extensive activities calendar for residents. The new facility offers various floor plans and every room is an apartment. Prices start at $3,200 per month and will vary, Potter said, based on what kind of care a resident needs. Companion suites are also available for folks who don’t mind having a roommate and want to contain costs. To learn more, visit www.twincreeksretire.com.